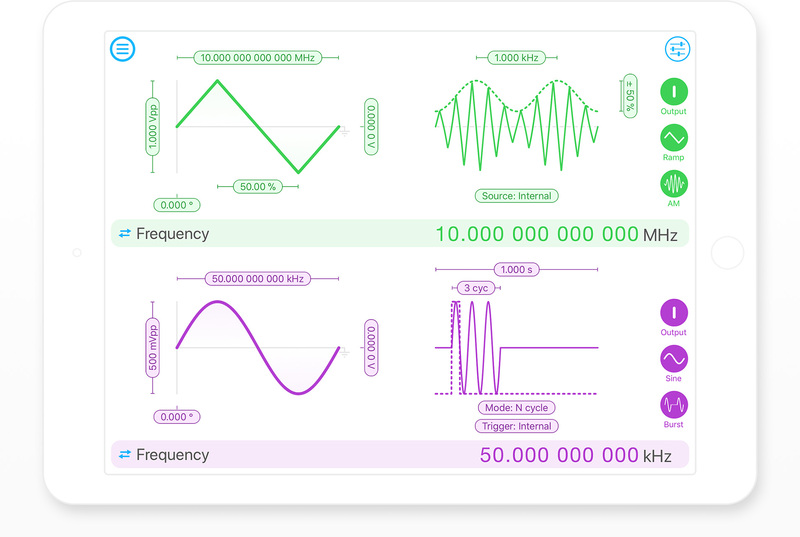 Moku:Lab’s Waveform Generator enables users to generate two independent waveforms with a sampling rate of 1 GSa/s, a maximum frequency of 250 MHz and a output voltage range of ± 1 V into 50 Ω. 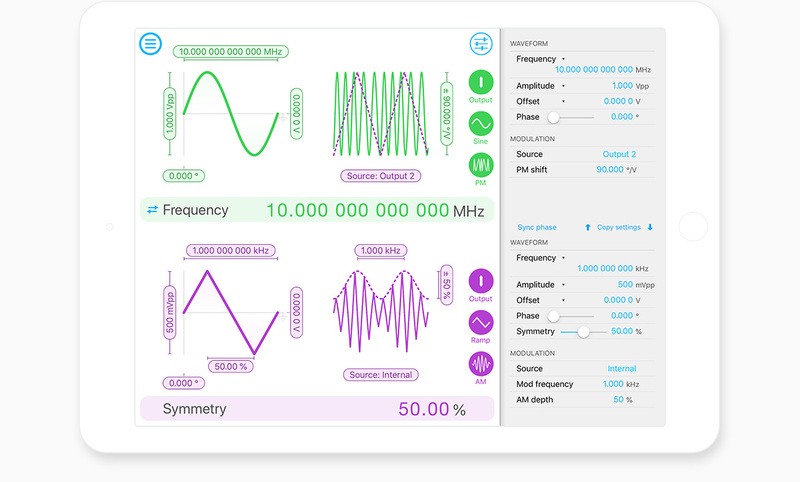 Select between sine, square, ramp, pulsed or DC waveform shapes. Modulate the phase, frequency or amplitude, or generate triggered bursts or sweeps from an internal or external source. intuitive iPad interface, or with Python, MATLAB, and LabVIEW. Wirelessly configure and upload your waveforms, all from an intuitive iPad interface, or with Python, MATLAB, and LabVIEW. Modulate the amplitude, frequency or phase of the generated waveform at up to 62.5 MHz with an internally generated sinewave. Alternatively, modulate using an external waveform sampled by Moku:Lab’s 200 MHz inputs. Moku:Lab’s Waveform Generator features cross-channel modulation, enabling the output on one channel to be modulated using the output of the other channel. Need to modulate the phase of a 10 MHz carrier with a 1 kHz triangle waveform that is itself amplitude modulated at 1 kHz? You can do that with cross-channel modulation. What are my options for triggered burst mode? • Start mode: start generating a signal from a trigger event. • N cycle mode: Output a predefined number of oscillations for a given signal. • Gated mode: Turn your output on/off depending on your trigger. What is triggered sweep mode? • Internal: Trigger from an internally generated signal. • External: Trigger from the TTL compatible EXT input on the back panel.